If you have a young child, you’ll probably be recording their changing looks and developments with your camera. But what about their words? Kids often make their most marvelous utterances at random moments, and their words can fly by before you’ve had time to grab any recording equipment. Your toddler will be delighting you daily with experimental expressions, hilarious comments, and profound questions that make you laugh and cry. But you’ll find it hard to remember them for five minutes, let alone a lifetime, so you’ll need a system to catch and save them. Here are some tips to get you started. Keep recording equipment on hand whenever possible, ready to click into action when your child starts chatting. Tag your recording with an eye-catching name to help you find it later, and keep a copy on a different device in case of loss or damage. If nothing of note is said, delete the babble rather than accumulate unwanted material. Some times of day may produce better results than others. Bedtime can be a particularly good time, as young children are often at their most thoughtful and expressive as they snuggle up with you and the teddy bears. Otherwise, any playtime will do. You can’t always have a camera or phone on standby for recording, so keep pen and paper handy in a pocket, bag, or kitchen cupboard to jot down those wonderful witterings as they come. You’ll need to allocate a drawer or corner for your notes as they pile up, as paper scraps can easily get mislaid in the bustle of parenting. Whenever you get time, you can text or email the latest batch to yourself so you can archive them later. Which words will you archive? Kids can be charmers, wits, philosophers, and cheeky monkeys, or all these at different times. They like to make up words and experiment with language, sometimes mimicking mom and dad with hilarious accuracy. They can be tear-jerkingly enchanting or comically endearing with their thoughtful questions and uninhibited statements, and sometimes uncannily perceptive. Pick out the snippets you and your family love, reflecting every mood and stage, for a full portrait of your little one. You’ll need to catalog your quotations at regular intervals, before you lose or forget about them. One way is to save them in a computer document, with a backup copy on other equipment such as a memory stick or second computer. Another method is to save your material online, perhaps in emails to yourself or as email attachments. There are also various online storage facilities available, as a quick search will reveal; some involve costs, so check before choosing. Alternatively, print or type out your words to present in an album or scrapbook. If you enjoy putting pen to paper why not write them, for the personal touch? Elegant handwriting on white labels in an album of colored leaves could look fantastic. 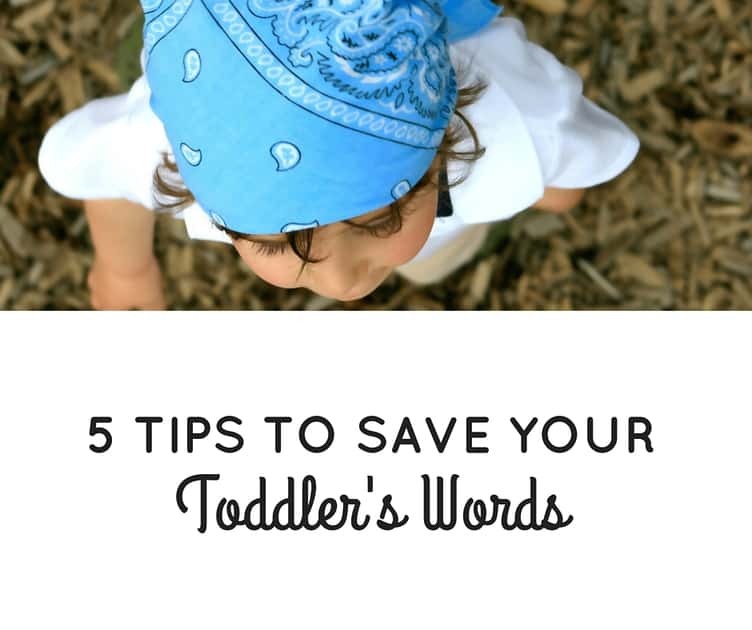 However you save your child’s remarks, you’ll probably want a system for reference. You might catalog them by date or by style, such as funny, thoughtful, and brainy. You’ll also want to think about captions and accompanying photos. What about a smart title page or cover, and some decorative text framing too? There’s plenty of scope for creativity here. As your child grows up, the point will come when decide to draw a close to your collection. Design a closing page, with some decoration or a prize photo, perhaps. Now you can share all that precious prattle with your partner, family, and close friends as the years roll by. Your own parents might like a copy for Christmas, and the aunties and uncles will be touched to receive copies too. Make an occasion of sharing your spoken souvenirs at a later date, perhaps round a winter fire or under a summer tree. One day you can provide your grown-up child a special, personalized copy, and have a good laugh and sigh together over those bygone years. Perhaps they’ll do the same for your grandchildren one day.